I’ve been meaning to post this for some time. Now there’s only 4 weeks until the London Marathon. I’m following the VLM intermediate plan. It’s the most structured plan I have followed for some time. When I say structured, what I probably mean is, it’s one I’ve followed most rigidly. I started off hot and flew through my sessions, then as the miles grew and the task started to dawn on me. A recovery week and focus of diet and recovery have seen me bounce back a little. Here are some things I’ve found. It’s not a new pearl of wisdom, but it’s definitely a good one. I have been doing my Thursday run at lunchtime and each time I’ve had a bit of trepidation about the upcoming run. I’ve not missed one, but it’s crossed my mind to give it a miss. Getting out first thing in the morning and not procrastinating about it is really the best thing for me. My goal is a race and these tend to be in the morning, so running in the morning should be advantageous. As I said at the top, I’ve followed the plan rigidly. I’ve not had to be flexible which is normally a recommendation on training plans. I have shifted the odd long run from Sunday to Saturday, but I have stuck to Tuesday, Thursday, Saturday and Sunday. This has really worked for me. I always know which day I’m running on and it quickly became a habit. I was very glad when my recovery week came around. I was starting to wither and a bit of a break in the mileage got me back up and running again. Think of it as a mini taper to get your legs back under yourself. Highly recommended. Long runs are the backbone of any marathon training plan. They can be as dull as dishwater, but they have to be done. If you run with a group, add that group run into your long run. 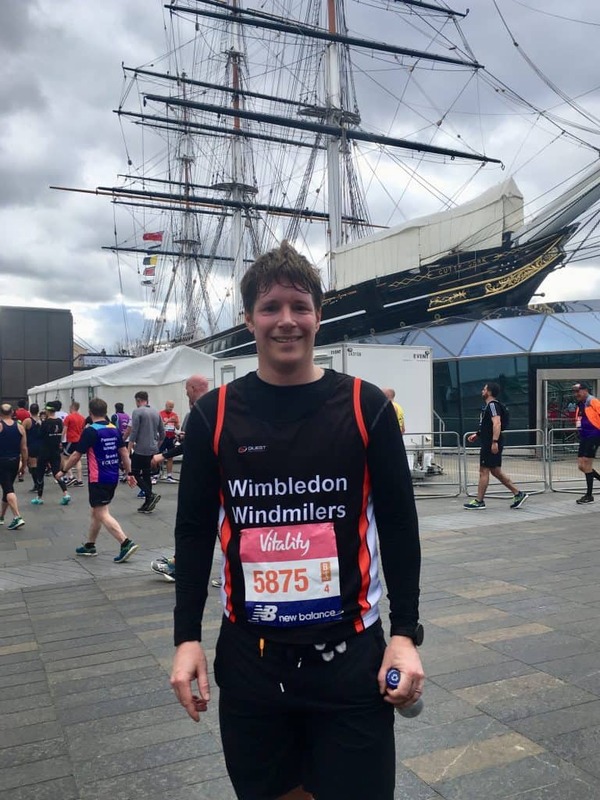 I have done this a few times by running to the Windmilers Sunday Social run to extend my mileage and also to my ex-BMF run club. Doing this beats the mind games of having to run for such a long time and is obviously much more social. Try a parkrun sandwich – run to parkrun, do parkrun, run home! Feel the fear and lean into it. There’s the safe option to just turn up on marathon day and hope it all goes well. Doing a couple of dry runs is much safer. A couple of half’s, a 16 or 20 miler before the big day. You can work on your pacing on closed roads as well as your pre-race hydration and improve on your fuelling strategy if it does not go quite to plan in your test race. You get the feel of what it is to run in a crowd, having other passing you and how helpful the supporters can be. 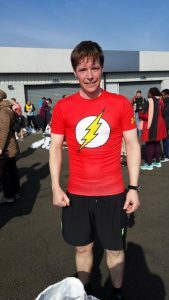 I did the Big Half last week, review here, possible the ultimate London marathon taster. A large chunk of the London Marathon course but in reverse and with 20,000 runners. My remaining events will probably be the Kingston Spring Raceday (16 miles, 4 weeks to go) and the Fullers Towpath Ten (10 miles, 2 weeks to go). I get nervous before races, most of it a load of bulls*it. The more you race, the easier it gets and less faffing and thinking you do. You need to do some reps! Drop the headphones too! There’s no need to race in them, don’t use them as a crutch. Listen to your breathing and gauge how you’re feeling. Marathon training is hard, but it’s not forever. Remember why you’re doing it. I’m tired and achy most of the time and hobble and shuffle around the office and at home. It feels if I’m not getting faster. I’m not even sure if I should be getting faster. The attrition from the previous run is still with me when I start the next, so the tiredness and sore legs compound. But if I can do 16 miles in the rain, going up hills after a circuit session and parkrun the day before, I can do 26.2 miles when fully tapered, rested, hydrated and fuelled. The miles are long and they are hard but you have to trust the process. The training is about fatiguing yourself and growing stronger. Breaking yourself down and then building back up again. Not everything has to be super-fast or super long, but it has to be consistent. If you build it, the times will come!